Assam Information Commission has initiated necessary steps to fill up the following vacancies. 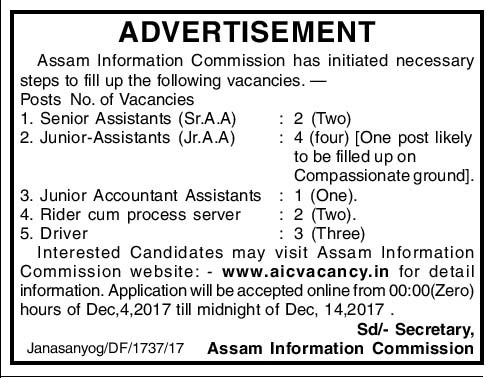 How to Apply: Interested candidates may visit Assam Information Commission website www.aicvacancy.in for detail information. Application will be accepted online from 00:00 (Zero) hours of Dec, 4, 2017 till midnight of Dec, 14, 2017.